Nothing seems cuter than a little girl and her baby doll, except a little girl and her baby doll in matching outfits. The concept isn’t new….this ad for a little girl’s and doll’s matching outfits is from Ladies’ Home Journal, December, 1939. Hats, sweater, skirt, and apron match. Adorable! Great idea for holiday sewing. Nothing seems cuter than a little girl and her baby doll, except a little girl and her baby doll in matching outfits. 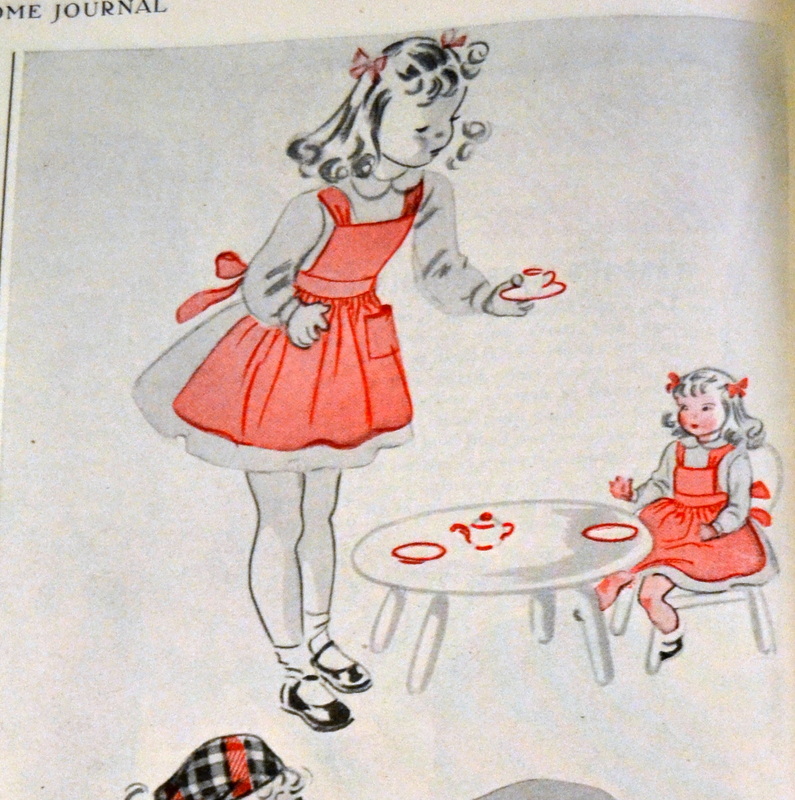 The concept isn’t new….this ad for a little girl’s and doll’s matching outfits is from Ladies’ Home Journal, December, 1939. Hats, sweater, skirt, and apron match. Adorable! Post by Eileen at GoofingOff. Use the coupon code BLOGGIN to get your 15% discount during purchase. ← New Listings in GoofingOff Sewing: Be Still My Rockabilly Heart!